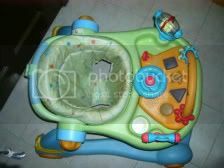 A two stage interactive activity walker featuring a detachable electronic toy tray with advanced sounds. Convert from a traditional seated baby walker to a step-behind push along as baby increases their confidence and stability. 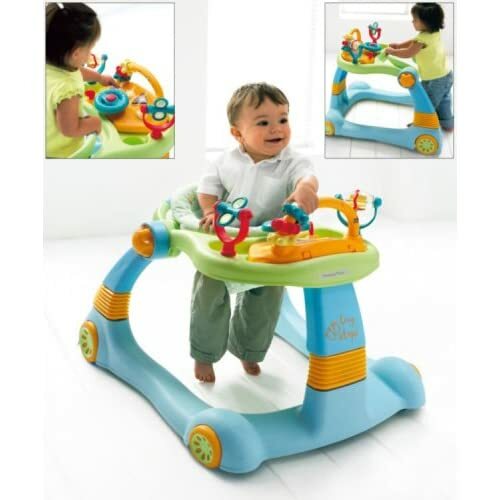 STAGE 1: Activity walker - recommended for children who can sit upright unassisted. Not intended for children who can walk by themselves (approximately 6+ months, maximum weight 12kg and no taller than 85cm). 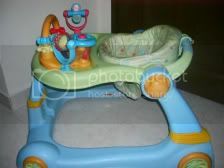 STAGE 2: Step-behind push along - suitable for children who can walk unaided (from approximately 9 months to 3 years). Dimensions: H: 59 x W: 65 x D: 76cm approx.